Popular private taxi service Uber yesterday announced an update to its app that includes fare splitting, finally allowing users to easily split fares with friends within the app. 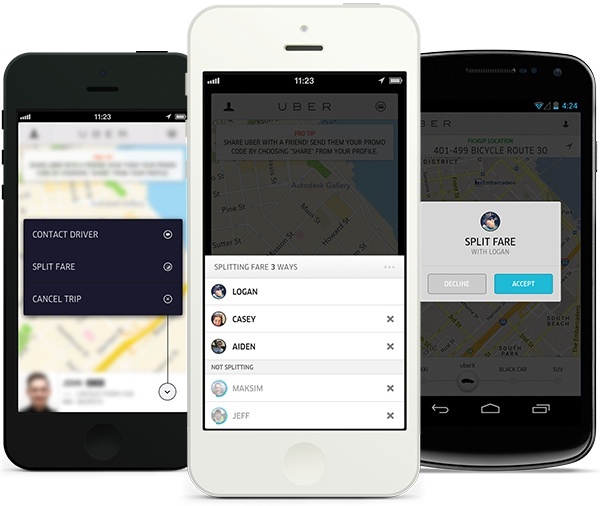 Previously, users had to manually split payments before or after an Uber payment was made. Now users just have to choose the friends they want to split the fare with and wait for them to accept the fare-split. Users who do not have the Uber app will receive a text message that prompts them to download and sign up for the app. I like how the Nexus 4 has no cellular signal, low battery life, and not quite full wi-fi signal.